At long last, after a bit of waiting following the unveiling at MWC in February, US availability and pricing for the Huawei Watch 2 has been announced for the US. Starting today, buyers can grab a Huawei Watch 2 at numerous outlets, priced at $299.99. These outlets include Best Buy, Amazon, Newegg, B&H Photo Video, Jet, Target and Walmart. However, do note that Huawei states retailer availability will differ. Currently, US buyers will only get the Carbon Black or Concrete Grey options. There is no orange model that was shown at MWC. 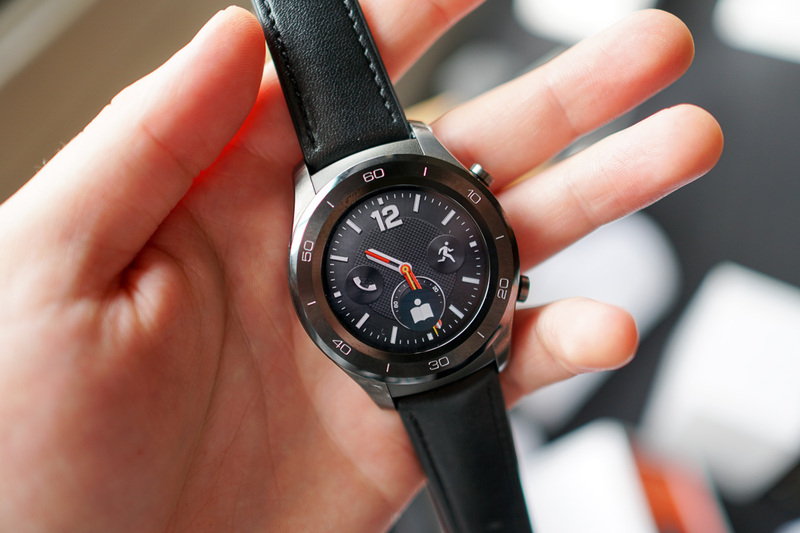 As for the Huawei Watch Classic, it will go on sale later this year (“soon”), priced at $369.99. Another note, it has been announced that no 4G model is planned currently for the US. That means you won’t find the Huawei Watch in any carrier stores, at least for the foreseeable future. For details such as specs, you can view those here, or check out our newly published review. HUAWEI WATCH 2 Comes with Exclusive 10 Free Weeks of Google Play Music in the U.S.
PLANO, TX – April 18, 2017 – The HUAWEI WATCH 2, Huawei’s second-generation smartwatch, hits the U.S. today. It is designed to be lightweight and comfortable with a sport-inspired design and innovative new updates. Building on Huawei’s history of beautifully-designed and powerful wearables, the HUAWEI WATCH 2 includes features perfect for active lifestyles. HUAWEI WATCH 2 will be available at BestBuy stores, and online at BestBuy, Amazon, Newegg, B&H Photo Video, Jet, Target and Walmart. The HUAWEI WATCH 2 is the perfect health and exercise companion, featuring innovative design details. Its chronograph double-crown design is inspired by sports watches, and makes controls easy to access. What makes it a premium smart fitness watch, though, are the features under the surface, including a highly-integrated antenna (GPS, Wi-Fi™ and Bluetooth®) for stronger connectivity. In addition, its ceramic bezel helps better dissipate heat and is lighter, scratch resistant and six-times harder than stainless steel. HUAWEI WATCH 2 lets users add music to their workouts through music streaming apps such as Google Play™ Music. From streaming music via Wi-Fi™ or Bluetooth® to downloading songs and accessing playlists via offline storage, users have the freedom to listen to music during their workout without bringing their phone or needing an Internet connection. And for a limited time, users can take advantage of 10 weeks free trial of Google Play™ Music with purchase of HUAWEI WATCH 2, making it easy to enjoy music on the go – using the speaker built into the watch, or pairing with a Bluetooth® headset.